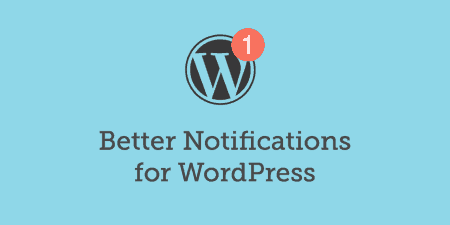 Notification is the best free custom notifications and alerts solution for WordPress blogs and websites. 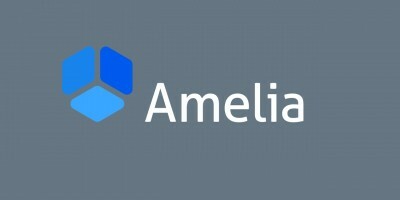 It’s trusted by over thousands of developers and marketers from all around the world. It is a simple yet powerful notification plugin for beginners & advanced users that allows them to send customized email notifications. Notification allows you to send custom notification and alerts without any hassle. 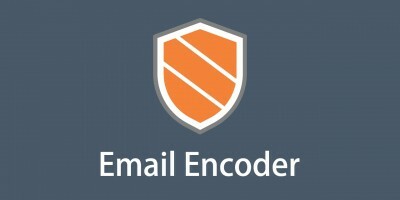 It is powered by several powerful merge tags that you can use to customize your messages. 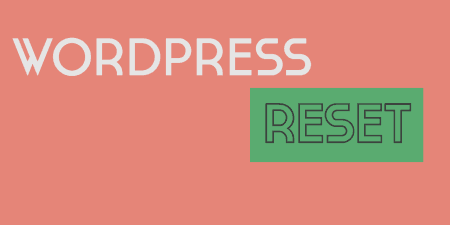 Using this plugin you’d be able to send unlimited notifications in your WordPress admin through the beautiful and intuitive interface within a few minutes. You can use them as per your convenience and send notifications as many as times you want. 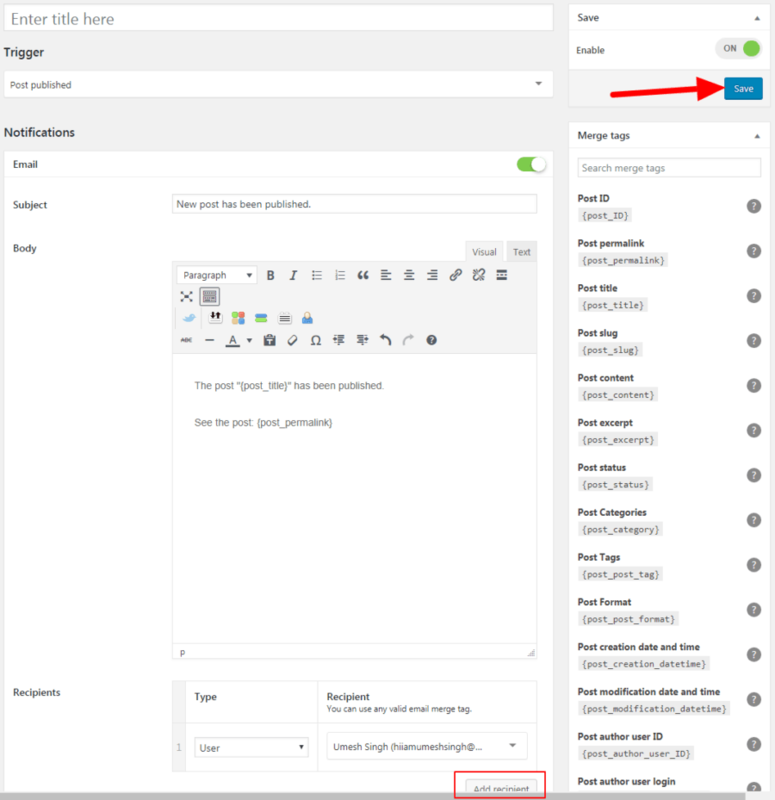 To get started you have to install the Notification plugin on your WordPress website. 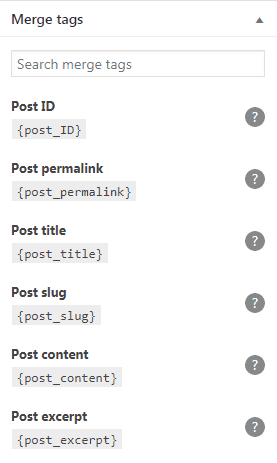 First head over to the WordPress plugin repository and search for the “Notification”. Install and activate the Notification plugin. As soon as you activate the plugin, it will redirect to a page where you will see the following message. You can click on SKIP button if you don’t want to give permission to collect the data. But, I’d recommend you allow them to collect the data; it will help them improve the plugin for better user experience. 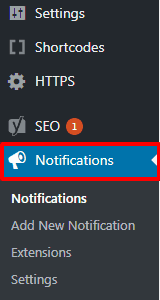 Now move to the notification tab below Settings and click on Add New Notification. A new tab will open where you will create your first notification message. To create a notification, enter the title that will be only visible to you, and then select the trigger you want to fire. There are multiple triggers that you can use when sending a notification. Merge tags will appear on the right-hand side as soon as you select the trigger. Don’t freak out when you see the merge tags. 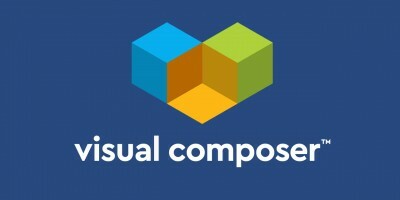 They might look like something only coders can use, but the truth is they’re very easy to use. Let’s see what notification we can send. As you can see, the Email notification is enabled by default but there are others notification types are available such as Push, Slack, SMS, etc. But let’s stay with the email notification for the purposes of this review. Let’s say you want to send a notification when a new post published. The first thing you have to do is write a subject that your recipient will see. Then work on the message by using merge tags. After that, scroll down below and click on “Add recipients# whom you want to send the notification and then click on SAVE button. To test it, I published a sample blog post with “Hello” title and within few seconds, I got this notification in my inbox. It was easy as slicing the butter! You can send as many advanced notifications as you want by using this plugin. There are multiple extensions available that you can use to send other types of notifications. You can find extensions under Notification->Extensions. 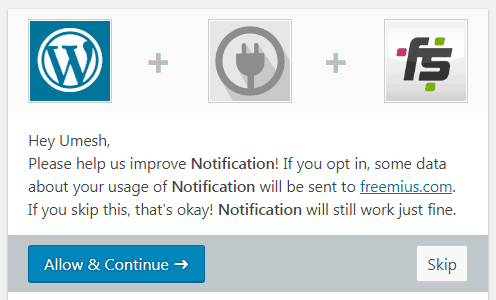 Notification is by far the best free notification plugin for WordPress to send the custom alerts to your users. You don’t need any coding skills to use this plugin – even a newbie & non-techy person can use Notification plugin without a hassle. Notification is free and still in its early stages, and there is more to come in the future. Over thousands of people around the world has already installed Notification plugin on their website. If you face any problem with the plugin let the developer know in the support forums.